Intelligenthq had the pleasure of interviewing Diego Quadra, who is currently in London, where he will be leading, in collaboration with Ignacio Cespedes, the upcoming workshop Reinventing organizations, an experiential workshop on the principles outlined in Frederic Laloux’s book Re-inventing Organizations. 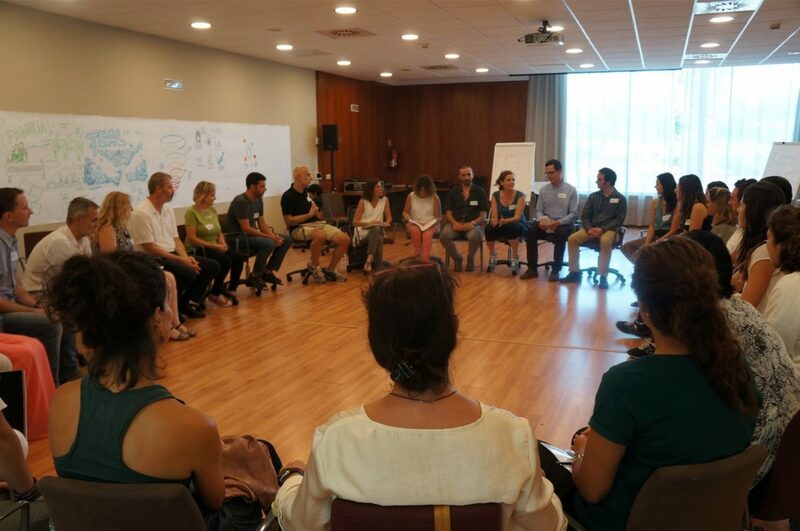 The workshop was organized by the Kairos Project, which is an organisation that aims to create an international network of Kairos Project Hubs that will offer social and environmental organisations affordable and accessible coaching-based learning and development. Diego Cuadra is an ontological coach specialized in generating creative spaces for change. He has dedicated his professional life to human development seeing it as the process of increasing awareness and a way to authentic being. He is currently living in Chile expanding the mission of “The Kairos Project” to Chilean and Latin American social organisations. In this fascinating interview, we explored the possibility of a future world, in which organisations are seen as living beings holding a soul. Diego told us about his experience, his view upon Frederic Laloux book “Reinventing Organizations”, his current projects, and also what he envisions for the future. 1. Can you tell me a bit about yourself and your background ? My name is Diego Cuadra. I was born in Chile 35 years ago. I have dedicated all my professional life to human development. I began working in poverty, specifically working with small entrepreneurs from slums in Latin America, but early on I realised that the change was very limited without a good education base; I thus joined the Foundation Enseña Chile (Teach for Chile) which is part of the international movement Teach for All (Teach First in the UK) with the role of starting the Alumni movement in Chile. I’ve realised that our current educational model incorporates us in the economical system, but it doesn’t necessarily help us to unleash our potential as individuals (and consequently as society), so I’ve decided to train as a life and leadership coach. The experience of working with individuals and organisations through coaching processes, made me realise that we spend so much time in organisations, that our personal development is limited by the context offered by our workplace. At that time I was living in Belgium and I’ve met Frederic Laloux and we became friends. He has shared with (and inspired) me some of his findings on organisations working within new paradigms while I was studying a master in organisational development at the Catholic University of Louvain. 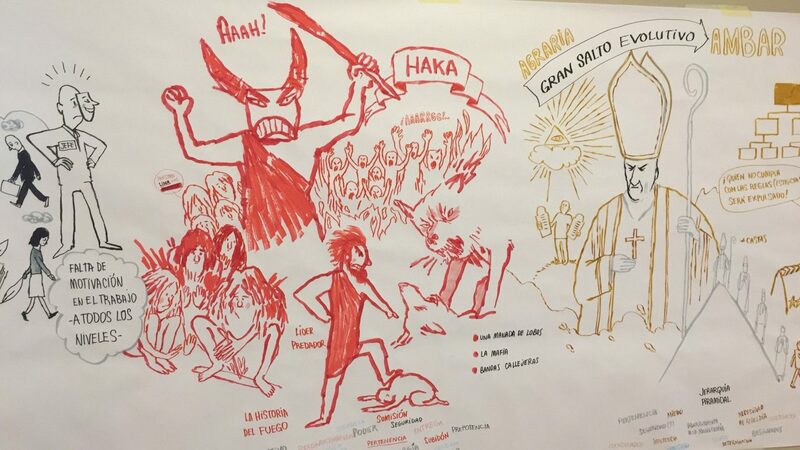 When I came back to Chile in 2014 I led the translation of Frederic Laloux’s book Reinventing Organizations into Spanish and since then I’ve been spreading its message to the Spanish speaking communities in Latin America through The Kairos Project. 2. You collaborate with The Kairos Project. Can you tell us more about The Kairos Project? While I was living in Belgium I’ve had the chance to meet Peter Bailey and Paul Jackson and other Newfield Network trained coaches working in Europe. We were passionate about our coaching work with individuals and organizations and we wanted to expand our impact to spaces where coaching was not being accessible due to limited resources. We became aware that there are social and environmental organizations around the world that have no coaching support, even though they are doing, we believe, the most important work in the world that is driven by the 17 Sustainable Development Goals defined by United Nations. This was our primary purpose, to make first class coaching and organizational development accessible – economically, geographically and linguistically – to charities and purpose driven organizations worldwide. Today we are a self managed community of 30 coaches and facilitators sharing our purpose, living in 12 different countries accross 4 continents and working in 10 different languages. We work in a circle based structure, in a sociocratic way. 3. 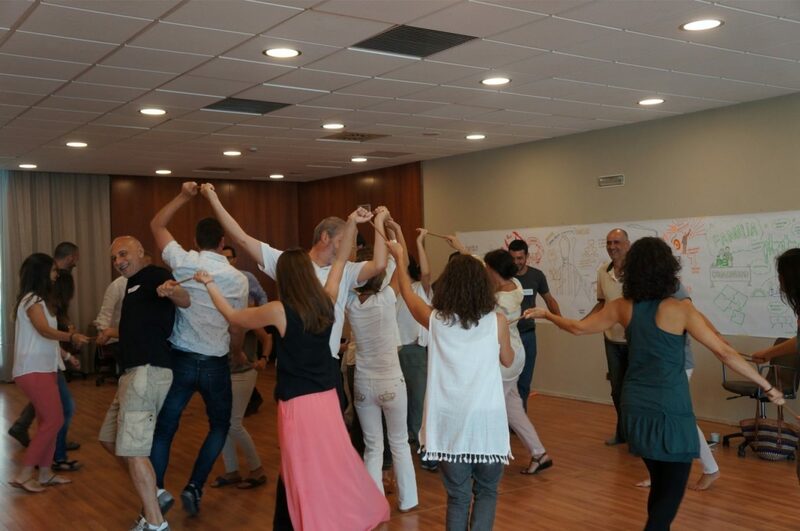 You are here in London to lead an experiential workshop based on the principals outlined in Frederic Laloux’s book “Reinventing Organizations”. Can you tell us more about those principles and how they are transforming organisations throughout the world? Frederic Laloux in his book comes up with the hypothesis that today we could be close to giving a “new leap in paradigm”as humanity which would completely change our way of functioning with others and conceiving organizations. According to various social sciences, the development of humanity has not been linear. It has been observed that in some specific moments of history we have made “evolutionary leaps” that made us advance faster than in previous years. These leaps have occurred at a time when the prevailing ways / strategies to solve the challenges of humanity were not able to continue to do so effectively, which has given space to new forms that if previously were seen as incipient and alternative, finally became the new prevailing forms. The problem is that while we are standing in a paradigm we look and project the future, according to the experiences we are having at the moment we are at, that is, we do not take into account that there could be an evolutionary leap that would allow the emergence of solutions or answers that we did not have before in our field of possibilities. If the prevailing paradigm and its associated strategies are effective, we could visualize a very attractive future, whereas if the prevailing strategies or forms are not effective in solving the existing challenges, we see the future in a discouraging way. This is what is happening today according to Frederic Laloux, at least in the field of organizations. Our current ways of organizing ourselves are no longer effective to unleash our full potential individually and collectively. Frederic looked for alternatives, and he researched organisations that could be working from a new paradigm. He researched 12 organisations that were working in extraordinary innovative ways, despite being in different countries, contexts and industries – and in most cases not knowing each other – they were solving their challenges of working collectively in a very similar way, which could be a sign that a new paradigm could be emerging. He found that these organisations were functioning in a self managed way, giving autonomy to every person in the organisation, that they had created a safe space where everyone could be their fullest version of himself/herself and that these organisations had a evolutionary purpose to which they were “listening” at every moment. From my perspective Frederic’s main impact by publishing his research was to expand our field of possibilities regarding what we can expect from our organisations and workplaces by sharing so beautifully and clearly what this 12 organisations are achieving today. In other words he gave us a new perspective of a possible future, and what is the initial step for creating it. After reading his book many of us were inspired and at the same time challenged to aim a bit higher than we had done so far. Frederic moved the limits of what is possible in organisations. Now it is up to all of us to put them into practice, which is not minor, since despite the amount of detail in which Frederic has described the functioning of these organisations, the practices and organisational structures are only expressions of the way its leaders see the world (paradigm). This does not change from one day to the next, but it does require some personal work and collective willingness. From our experience working with different organisations and their leaders, we believe that we all have the potential to work in this way if we generate the context required for this to happen. We have experienced the change and we will share our insights in our workshop on October 5th in London. However, not all of us are working in the same context, we do not function in the same way or have the same history. The incredible amount of diversity in terms of experience must be recognised when we embark on a process of change. We have observed that many companies have launched the process to become “teal” companies , as Frederic has called these emerging organisations, however many became frustrated since they have not obtained the expected results. In our work of supporting evolutionary development, we have observed how this new way of functioning (teal) emerges naturally (with no need to force it) by integrating all the preceding evolutionary states. If we don’t become integrated personally or collectively, we have a “lost” energy and attention” that keeps going in that direction that needs attention. For example, if we want to be discussing issues of transcendence and we have not resolved our financing or business model, most likely despite our intention to be paying attention to these issues, an important part of our focus and attention will actually be drawn to funding issues. Drawing done during a workshop in Barcelona (2018) led by Diego Cuadra, from The Kairos Project. 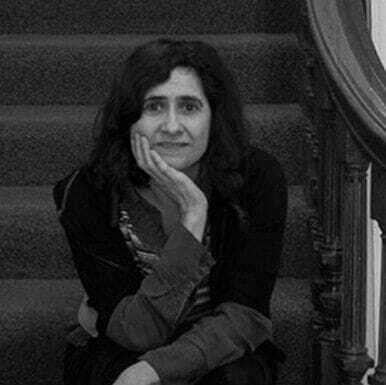 The workshop that we will offer has the intention of experiencing and observing individually each one of the energies of the 5 main evolutionary stages to become aware of how integrated they are in our current way of functioning both individually and collectively. 4. Your workshops introduce people to “Sociocracy”. Can you tell us more about what is “sociocracy” and how it can help us shape better organisations for the 21st century ? Sociocracy refers to a mode of decision making and organisational government, which allows an organisation, whatever its size – from a family to a country – to behave like a living organism, and to self organise important objective is to develop the co-participation and co-responsibility of the members, empowering collective intelligence at the service of the organisation’s success. Sociocracy is one of the existing “social technologies” that can be used as a basis to develop the principles proposed by Frederic in his book. It is the one we use to organise ourselves and it is also what we promote in the organisations with which we work. Sociacracy is that base of Holacracy methodology (a method of decentralised management and organisational governance ) that Frederic explain in its book. 5. It seems that in South America, and in Chile, there is a thriving movement of transformation going on in organisations, particularly the ones concerning social entrepreneurship. Can you tell us more about what is going on in Chile, and give us some examples based in your experiences ? In South America and Chile we have huge social challenges in many different domains. The most important for me today is the enormous inequality existing between social classes. Our countries are developing but it seems that we are always leaving a part of our population behind, as our poverty rates are still very high. Unfortunately, Governments are not being able to solve this and some other urgent social and environmental challenges. But many social-driven entrepreneurs are bringing to life many outstanding initiatives to do it.For example in Chile the B Corps movement has been initiated for Latin America and today there are 410 organisations in Latin America certified as B Corps. Many social organisations are being inspired by Frederic’s book and are working towards converting themselves in Teal organisations. 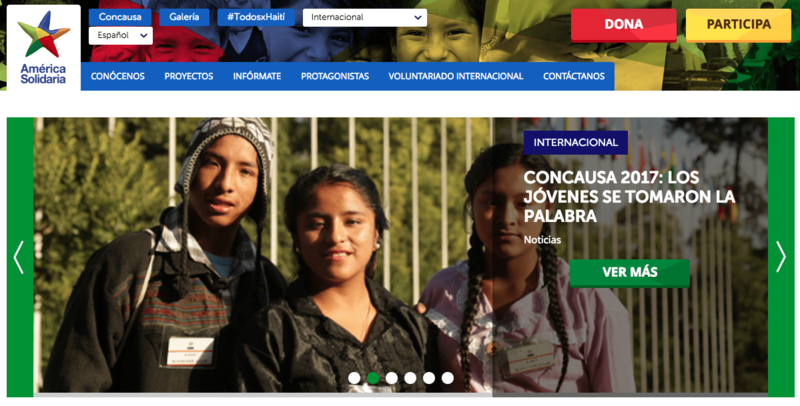 America Solidaria a chilean organisation working in poverty in 12 countries of Latin America has started the process for its transformation into a sociocratic way of functioning. Also I would like to share that this year we, as The Kairos Project Chile, in a “Joy venture” with Corporation for Positive Change have launched a co-training program of evolutive change agents in which all participants are trainers and trainees and we share different logistic roles among everyone, generating a space for expanding our capacities to collaborate and develop our selves individually and collectively. 6. In some of your articles and workshops, you reflect how organisations structured around ego can transform into organisations directed by eros. What do you mean with this? This has to do with something that I said before about how all of us have the potential to be kind and collaborate or to work in a “teal” way. But according to the book “Origins of Altruism and Cooperation“, it is the non-vital states or diseases that lead us to selfishness and individualism.The Eros energy would be the one that tends to connect us, nevertheless we have generated Egoic structures in our organisations that do not allow the expression of Eros in them, which causes suffering and loss of effectiveness. Eros needs a certain context to emerge, and a teal way of functioning too. 7. Being a bit futuristic, how do you envision the world of tomorrow ? More specifically, how do you think new cutting edge technologies, such as AI, Blockchain and others, combine with the latest research being done around novel types of organisations which operate from a more advanced level of consciousness ? This questions is huge and I love it! I think that every intent to answer it will change right after we define it because of the pace of change we are on as humanity, so I will try to express my vision of how we could be living/feeling in that future more than the way it will be structured, because it could take many different shapes that are impossible to know from today.My vision of the future is that we are going to expand our limits of what it means to be human beings in a planetary basis. We haven’t discovered yet all the capacities that we already have in us. All those new technologies will support this development. They are already giving us new metaphors to visualise ourselves. They are just expressions of our own capacities and could help us to think out of the paradigm. Today we are living life as we were just minds, but I believe we are much more than that. We are emotions, body and spirit. Once we integrate all the wisdom inherent to these different parts of ourselves, our capacities will expand in a way that it’s very difficult to envision.